Giovanna d’Arco, Verdi’s seventh opera, was premièred at La Scala in Milan on 15th February, 1845. It was written between the composition of I Due Foscari (November 1844) and Alzira (August 1845), a period when Verdi was already enjoying popularity as a recognised heir to Bellini and Donizetti. After the success of Nabucco, which had launched him on the Italian operatic scene, the Venetian triumph of Ernani cemented Verdi’s reputation as a composer of international stature, both at home and abroad. The composition of Giovanna d’Arco is not clearly documented in Verdi’s letters, but what we do know is that he wrote it in just four months, using a libretto by Temistocle Solera based on Friedrich Schiller’s five-act romantic tragedy Die Jungfrau von Orléans. 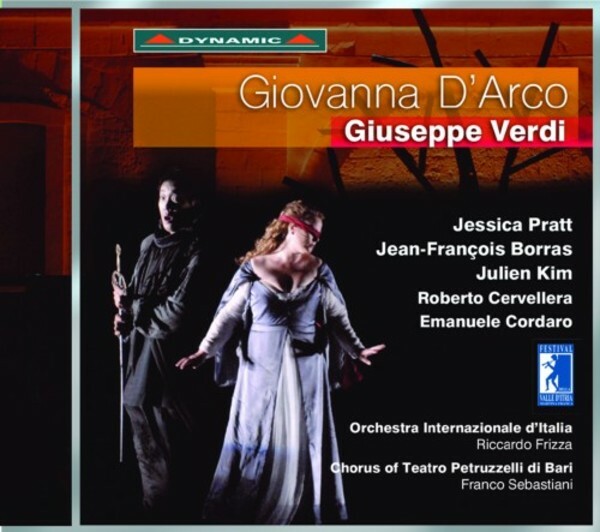 Giovanna d’Arco contains a wealth of beautiful music that displays Verdi’s infallible theatrical sense and perfect dramatic timing, both hallmarks of his style.